I had a very interesting discussion with a friend of mine a couple of days ago regarding practical application study within the Chinese Martial Arts, and how this field of study compares to the same field of study being done in the Okinawan and Japanese Martial Arts. The study of practical application within the Japanese and Okinawan Martial Arts seems to have begun in earnest with the debut of the UFC. In this event, on a huge stage, the traditional striking martial arts got it handed to them in short order, and everyone who had any sense saw immediately that we needed to go back and take another look at what we had been taught and what we were teaching. For the Japanese and Okinawan systems, this study took on a very serious note and many open minded practitioners saw that much of the problem lay in a lack of objective understanding of the techniques themselves. Where it had been standard practice to teach a block as a block, these thinkers began to see blocks as strikes. The chambered hand, long taught as being an elbow to the ninja that had just jumped onto your back, was seen more and more as being a limb control/repositioning of the opponent type of maneuver. And as this study goes on, much is being re-evaluated and understood to have a much more practical use than had previously been taught. Within the Chinese Martial Arts, there was a lot of resistance to the idea that we didn’t know what the techniques were supposed to mean. As I mentioned in a previous article, for many years I had taught that a particular technique was a swinging strike to the underside of the jaw, when in looking at things from a more practical perspective it is a scoop to the underside of a kicking leg that allows you to (quite easily) dump your opponent onto his backside. The people who resist have pointed out to me on a regular basis that the techniques of Hung Gar need not be seen as anything complicated. They love to point out the tiger strikes as their support for their position. 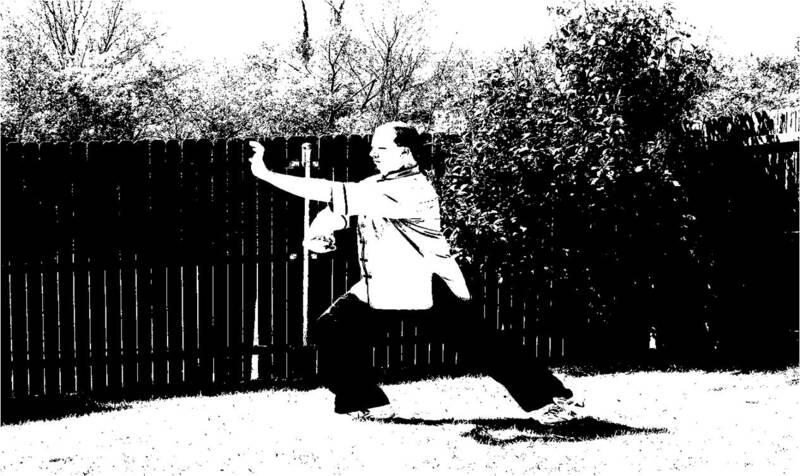 In Hung Gar, the tiger strikes are quite obviously a redirect with one hand and a strike with the other. And on the surface, there is nothing complex. I think, at least to me, the real complexity would be readily apparent to anyone as soon as they try to use these tiger strikes on a fully uncooperative opponent. The first time I experimented with this, I was amazed at just how difficult it is to pull off the techniques properly, and have them deliver as promised, when the opponent is doing everything in their power to prevent you from being successful. It took quite a bit of training to understand some of the more subtle aspects of timing, pressure, and adaptation required to make the techniques successful. They payoff was not just that I developed the ability to use the techniques. Better still was that I understood how to use them well enough to effectively teach how to use them. There need be no insecurity in this study. In fact, insecurity should be the last thing you feel. Each time out, I got better at it, and eventually made it look and act like I was told that it would. So, once again, we find ourselves back at the basic idea of training. No matter how basic and obvious the application may seem to the naked eye, unless you get out there and work until you can apply the technique on an uncooperative opponent, you will never be all that you think you are. Start Slow. It can be very disheartening to dive into full speed application study. Starting slow allows you to build up the understanding form the most basic levels. As you become more confident, you can increase the speed of everything going on, and then increase the level of resistance that your partner is providing in the exercise. But learn to do it right first, and only then start increasing resistance. Be sure the opponent in not always wearing long sleeves. Yes, train with sleeves, but train sleeveless as well. You will need to understand the differences in what you have to do to make a technique effective under both circumstances. Have you partner, if they are not sweaty enough, go run water on their arms. This will provide some further exploration in the study of application against a slippery opponent. Multiple Opponents. Have three to four partners standing at various angles around you. Do not fool yourself into thinking this means you will be able to take on multiple adversaries! Rather, this training provides a quick change up as a different level of resistance, as each person will define the level of resistance differently. For Hung Gar people, you can position them to allow you to go through the Ten Tigers section of Fu Hok for a great drill. Have the opponents stand at different distances and practice the appropriate footwork needed to reach the opponent. Not everything is going to take place at the optimal distance. Allow for this by varying the distance in the starting point throughout the drill. Have the partner start out too far, as well as too close, and also start from poor angles (place the defender at a disadvantage)We have to train as realistically as possible, and yet maintain our understanding that “close” is as good as we are ever going to get. We have to make every effort to get as close to the real thing as possible, but at the same time maintain a safe environment. We must also take care not to make claims that we are mimicking an actual violent encounter, because in the end it is only training. Training is not just our best hope for surviving a violent encounter, it is our only hope. I hope that the point I am trying to make is clear. Understanding that this is the probable application of this or that individual technique helps only a little. You need to take time and drill the technique. A surface understanding is going to do you no good. There is no replacement for experience. There never will be. Train the use of the techniques more than the mere repetition in the air. You do need a live opponent. Where many schools go wrong is in not trying with a partner at all, usually out of never seeing the initial stage of slow technique as being “step 1” of the process), or in jumping to full speed too soon. When training for application, one must start very slow, to learn placement and footwork. Then pick up the pace of the entire execution. Once this becomes proficient, then the opponent will begin to offer resistance to the execution, and the real learning will now begin.